Good morning, Heather Beather. What has you up so early this morning? 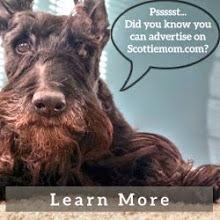 Morning, Scottie Mom! Oh, nothing. Just thought I'd catch the very last hours of the weekend before the sun came up and another week started. Time goes way too fast around here lately. It was a fun weekend, though - especially with Scottie Dad around. Yes, it was. What was your favorite part? The part when I got to eat my doggie martini treat from City Dog Market. YUM! Now I know why hoomans enjoy cocktail hour so much. Can I have another? I'm sure it is five o'clock somewhere! Soon, but not today. I'm sure Scottie Grandmadre will have plenty of treats when we visit her later this week. We get to go visit Scottie Grandmadre?! Oooh yes! She has the best backyard!! And I LOVE road trips. Can't wait to watch things zoom by the window...so much fun. Will we get to explore more parts of the town again? We most certainly will. But if you go rolling around in the dirt again, we're going to have to take you for another bath. Oh, drat. I dislike baths. But, it might be worth the price for an afternoon of rolling around in leaves and dirt. Hmm, tough choice: dirt or no bath? I'll let you know what I decide. You do that. So, Heather, we've gotten a few questions about how your health is holding up. Do you want to tell us how you're feeling? I feel just fine, Scottie Mom, although I heard you made an appointment soon with the evil pokers and prodders. Please no more blood work! I really am doing so much better. I'm practically as healthy as a horse...although I'm not because I'm a Scottie...I have a great, big appetite, I'm happy to go out on walks and I've only had one accident in the house recently and that was just because Scottie Dad surprised me when it was him that walked through the front door instead of you. It had been weeks since I had seen him - caught me off guard! I'm glad to hear you're feeling good but we do have to get that growing spot on your back checked out. I'm hoping it will be nothing and you will get a clean bill of health this time. We will. Don't you worry about that. It's just another one of my aging spots. It'll be okay, Scottie Mom, really. I'll go the V-E-T if we can go across the street to the Happy Dog Cafe afterward. How does that sound? You know I'll deserve a treat for putting up with another appointment of poking and prodding. Deal. Ok, Heather Beather, we've only got time for one more question before Scottie Mom has to go to work. What are you thankful for this Thanksgiving? You. And Scottie Dad. 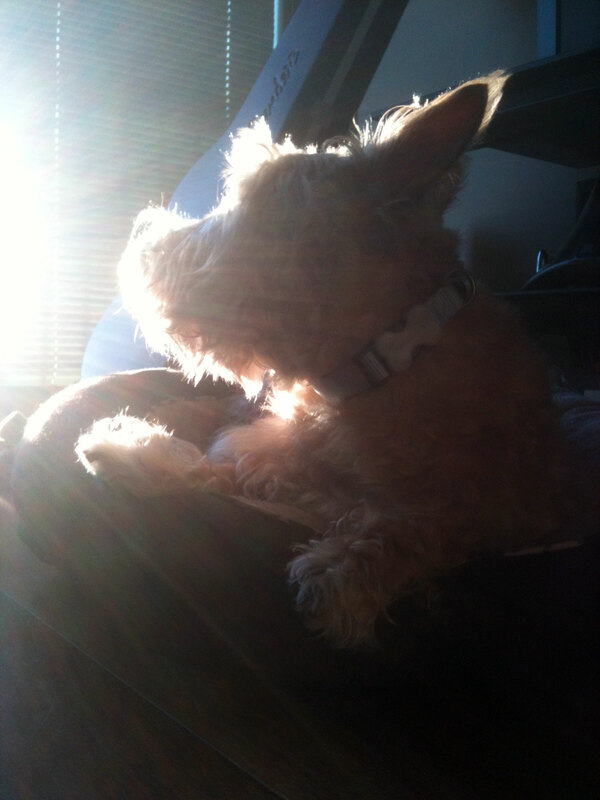 And Mr. K. And my foster Scottie Dad and his family in Tennessee that first sheltered me before I found you. 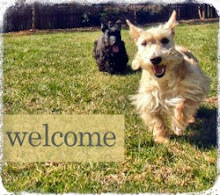 Oh yeah, and Tennessee Scottie Rescue and all the other animal rescue groups that are helping puppies and kitties in need. My new Scottie friends and fans are pretty awesome, too - thank you all for listening to my ramblings! (You can't see me right now by I'm wagging my tail and giving you all my happiest happy grin.) Other than that, I'm thankful for yummy treats, back scratchings and belly rubs, fresh grass to roll around in, a Mr. K to boss around, a Scottie Grandmadre to spoil me, and much, much more. AAarrrrRRRRROOOoo from the Rescue Crew!